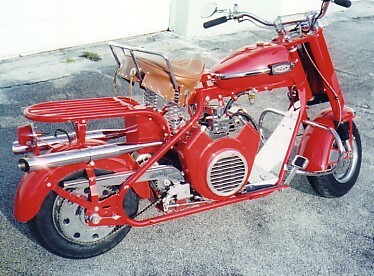 Elbert manufactures a 1959 Cushman Frame with an improved 30 degree Rake, Vanguard Conversion Kits, Front and Rear Disc Brake Kits, Intake Manifolds, Rear Axle Adjusters, Dress Plates to replace The Vanguard Rope Starter, a Vanguard Engine Throttle Control, and many more items. He also rebuilds Cushman crankshafts and flywheels. Give him a call for all your special needs. 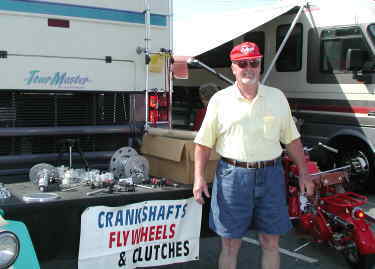 Elbert and some of his products on display at the Southeastern Cushman Club Show in Cochran, GA in March, 2002. 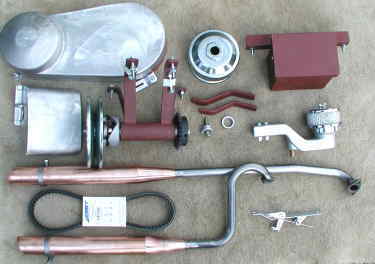 Pipes, a Jackshaft, Intake Manifold and Air Cleaner, Battery Box, Comet Transmission System with Belt and Cover, a Throttle Adaptor, a Starter Cover and all required Brackets. It also comes with a sheet metal template for quick and easy layout. 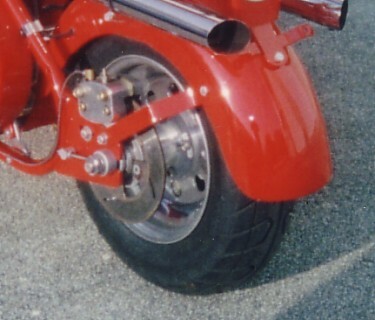 This is a picture of Elbert's Rear Disk Brake Kit. 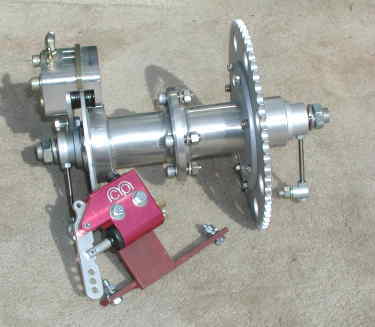 It completely replaces your entire rear hub and is made of Billet Aluminum. It also features axle adjusters for easy chain tension adjustment. 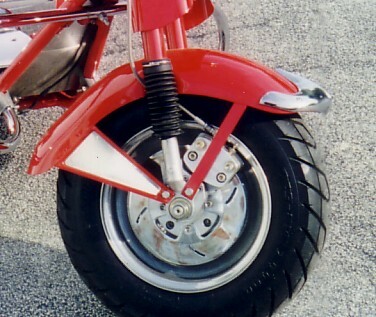 The Hydraulic brake actuator mounts on the right side of the Scooter near the Jackshaft and connects to your existing brake rod. 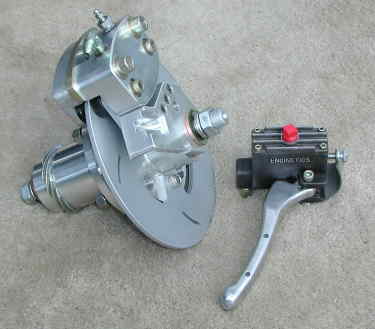 This is Elbert's new Front Brake Kit for the Eagle. Like the Rear Brake, it also replaces the entire Front Hub Assembly. 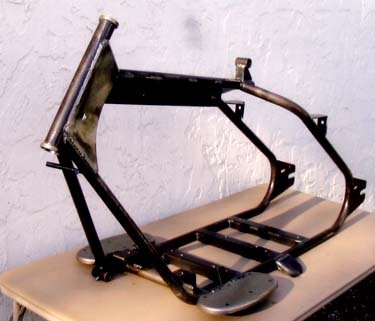 Elbert is now manufacturing a 1959 Cushman Frame. It features a 30 degree Rake to improve the handling. Give Elbert a call for all your special needs, and be sure to tell him Hobbytech.com sent you.